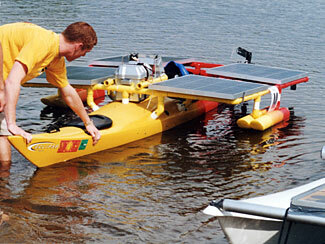 There will be a competition of racing a solar powered boat for middle-school and high-school students as well as adults. The boats are fully powered by on-board solar energy. No other form of energy can be used. • Experimental/Exhibition Class: Boats that exceed the criteria listed in the Rules.